Nigeria ranks among the top 10 cheapest petrol selling countries in the world, a policy group has revealed in its latest report. In its report released on 15 January, the Global Economic Policy Initiative, GEPin, said Nigeria presently ranks number six in the world only behind Venezuela, Sudan, Iran, Kuwait and Algeria. The group president, Bernard Okri , noted that the comparative analysis on global oil prices became necessary following the Yellow Vest movement in France and the recent oil price increment in Zimbabwe. He explained that oil prices have continually increased in leading economies across the world, crediting President Muhammadu Buhari for stabilising pump price in Nigeria. Okri explained that despite the fact that Nigeria is not one of the top ten oil producing countries in the world right now, Nigeria is one of the top ten cheapest selling countries in the world. "This is coming on the heels of international reports that petrol now sells for an equivalent of N1204 per litre and diesel N1135 in Zimbabwe. "A massive hike of 240 per cent in the prices of petrol and diesel has gone into effect in Zimbabwe. Petrol was selling for 1.32 dollars (N481) per litre before Sunday's hike. Our research has shown that Nigeria is actually the sixth cheapest place in the world to buy petrol according to a report by Bloomberg," Okri noted. 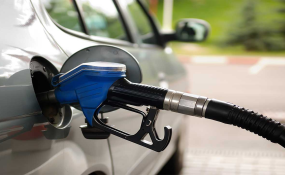 The report explained that Nigeria's selling price of N145 (equivalent to $0.41 per litre) and $1.52 per gallon makes it one of the 10 cheapest places in the world to buy gasoline compared to a global average of $1.12 per litre. The report pointed to the price cap on petrol set by the federal government as one of the causes of stability in the supply of the product, adding that, Nigeria's import dependence is caused largely by the decrepit state of its refineries. "Part of the problem is that, despite pumping 1.8 million barrels a day of crude, Nigeria has to import almost all its fuel because of the decrepit state of its refineries," the report stated. Okri explained that before the All Progressives Congress (APC) government took power in 2015, Nigeria was not ranked in the top 10 cheapest petrol selling countries. "That makes us one of the 10 cheapest places in the world to buy gasoline and compares favorably to a global average of $1.12 and a U.S. average of $0.73 per litre, according to GlobalPetrolPrices.com." "Of note to most observers this past yuletide season was the complete absence of petrol scarcity as the NNPC has become the retailer in chief and sole importer of PMS, leaving the country with enough reserves. "This effectively ensured that the queues at filling stations usually encountered in the "ember" months have become a thing of the past. Transporters and travelers alike gave kudos to the Buhari-led administration for achieving this welcome development. It is only the greedy black-market fuel racketeers that will be unhappy at this change we are now experiencing," the report further noted. The five countries listed in the report with a better price per litre of Petrol than Nigeria are Venezuela ($0.01), Sudan ($0.13), Iran ($0.29), Kuwait ($0.34), and Algeria ($0.35).